Haiti’s young female footballers are showing the way forward for their grief-stricken compatriots. 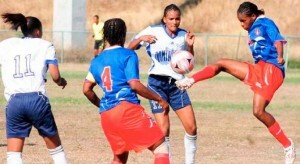 Less than two months after the massive earthquake that brought devastation to the country, a group of intrepid Haitian youngsters are getting ready to pull on the national jersey and fight it out with the rest of the CONCACAF Zone for a place at the FIFA U-17 Women’s World Cup Trinidad and Tobago 2010. The job of coaching a national soccer team isn't easy under perfect conditions. There's the arduous qualification process, tricky player selection, tactical adjustments, overseeing the youth system, etc. etc. Now, imagine how difficult that job would be with the added responsibility of trying to restore hope and pride to a nation devastated by one of the worst natural disasters in modern memory. That's precisely the task ahead for Gaspard D'Alexis, who assumed the head coaching duties for the Haiti women's national team this month. He left this morning for the Dominican Republic to work with the team ahead of the next round of qualification for the CONCACAF Women's Gold Cup. 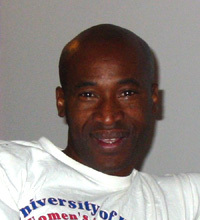 D'Alexis, who was born in Haiti but lived in Canada most of his life, is the director of coaching for the Omega Athletic Club in Kansas City. Before that he founded the first women's league in Montreal and he played professional soccer in France. He's lived in the KC area for the last 8 years and was featured in a front-page story in The Kansas City Star on January 14 in the wake of the earthquake in Haiti that killed tens of thousands. His family, like many others, suffered losses in Port-au-Prince. Haiti Women’s Soccer Team – With their country devastated by an earthquake that killed thousands, including their coach, the Haitian Under 17 Women’s soccer team had to regroup to train and prepare for a tournament that would qualify the team for the U17 FIFA World Cup. Lisa Salters followed the team’s courageous effort that fell short when they were eliminated from contention. The Haitian soccer team is in San Antonio and ready to train for the Caribbean Cup. Players and coaches flew from Haiti to the San Antonio International Airport late Wednesday night. The entire team will be staying at the T-Bar M Ranch in New Braunfels.